In the splendid Cannaregio quarter, in a still very populated area of the city, slightly off the major touristic routes lies the Venetian Ghetto. It is a tranquil and fascinating area that readily reveals very important history. Here in fact is where the word “ghetto” originated more than 600 hundred years ago, when the Venetian Republic established that the Israelites had to reside in side the perimeter indicated. Today this part of Venice, apart from being the residence of the Jewish community of the city it hosts 5 synagogues, and a little architectural and historical gem that merits a visit. A few blocks from the Ferrovia (train station) near the grand street Strada Nova, the Venetian Jewish Ghetto is characterized by tall buildings that explain the urgency there was to build homes for many in a limited area. 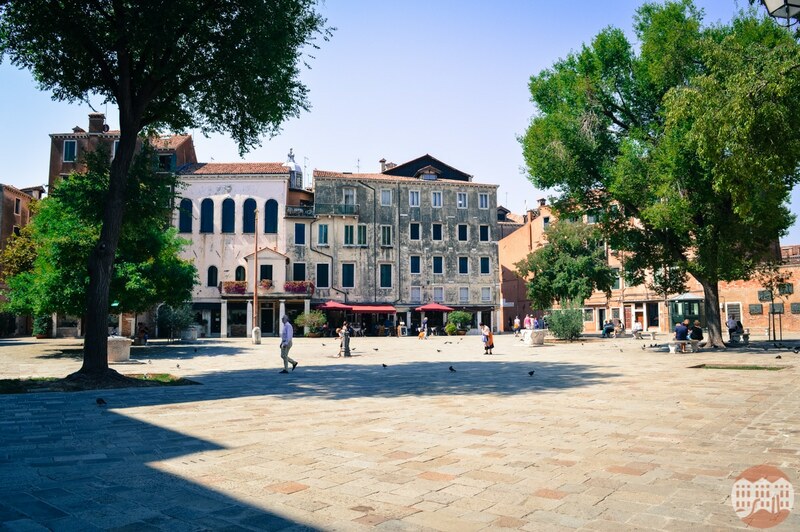 The Campo of the Ghetto is one of the most beautiful in Venice, thanks to its placid tranquility, the green trees that adorn it, and the marble benches that surround it. The entire Cannaregio quarter deserves to be discovered, and the Venetian Jewish Ghetto is certainly one of the starting points for your alternative city itinerary. Maybe start from the Jewish Museum or from the magnificent synagogue hidden between Palaces. You can venture out from the typical Venetian cuisine and try the Kosher restaurant Gam Gam with outside tables facing Rio Cannaregio or the new Ghimel Garden right in the Ghetto Campo. This new very important area – like all of the Cannaregio quarter – is still a perfect place to breathe in the lively city where many Venetians still reside, all of the beautiful canals (where you can see spectacular sunsets). The same canals that cross the Fondamenta della Misericordia which during the hot summer nights are packed with excellent bars and restaurants to try.